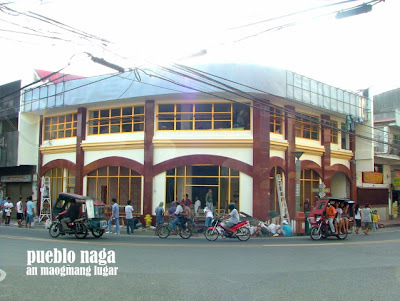 Featuring another coffee haven in Bicol.. 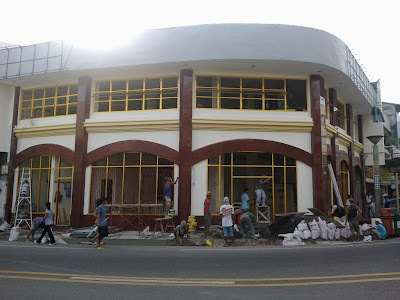 THE LOCATION: La Mia Tazza Coffee is located at the 2nd level of Embarcadero de Legazpi. Whenever I go to Embarcadero I see to it that I am able to get myself a coffee from this shop. Not only that I patronize local products, but the coffee serves as an energizer for my drive back to Naga. THE PLACE: I am able to visit LMT only during daytime, but I bet it's even more relaxing at night. During daytime, the view of Mayon Volcano will keep you company and the sea side ambiance is just great. THE COFFEE: Looking for something unique? Order the Pili Tazzino or any other beverage that is uniquely Bicol, with Pili of course. The price is affordable and the taste is competitive. Here's a photo of the Pili Tazzino that I ordered. 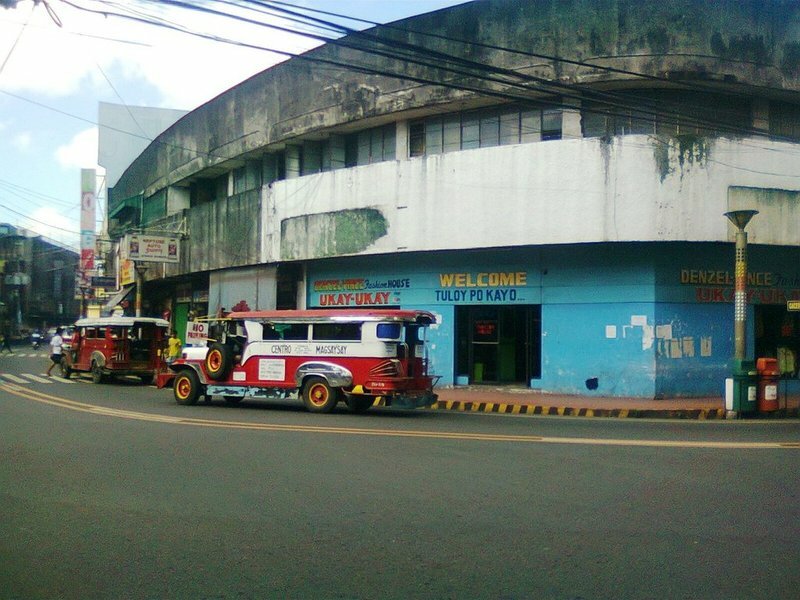 Photos shown next were taken last March 2011. La Mia Tazza at dusk is very romantic. Love is becoming an icon of Avenue Square and Avenue Plaza Hotel. Not only because they have a LOVE sign at the Avenue but most importantly because they know how to love and pamper their guests. 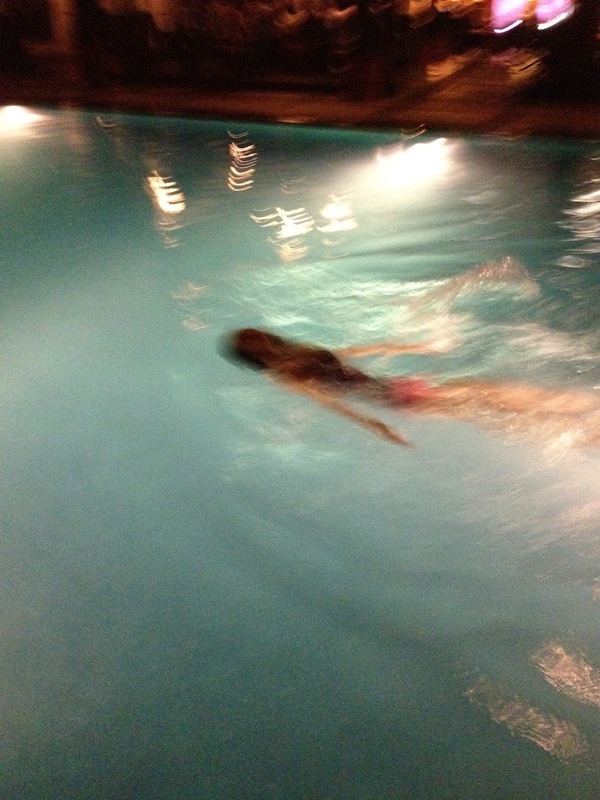 One weekend, we decided to cool off the day and use the pool pass given to me by Avenue. We were having second thoughts of having a dip because it was actually the windy day of June 2, 2012. But then again we pushed through with it and arrived at the hotel at around 6 in the evening. Grrrr it was a chilly dusk. We headed up to the locker and changing room and prepped ourselves for the swim. Peeking through a small room inside the changing room is the Sauna room. The Sauna didn't entice me to get in simply because I had no intentions of vaporizing myself. Why? I believe I do not have enough fats to burn out because I'm excessively slim. lol Everything was there, towel, shampoo, soap, hair dryer with a cold and hot shower. All you have to do is just bring yourself and extra clothes. View from the pool is a portion of Olympia Gym that I've never been to. 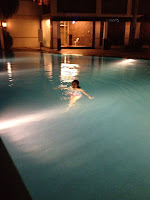 It was a Saturday, the infinity pool of Avenue Plaza Hotel looks so beautiful at night with the accented lights on the sides of the pool itself. Plus, be relaxed with the sound of a background music being played for hours. The water was great, I thought it was cold, but it wasn't. It was a good timing, there were only few hotel guests and or gym members who were using the pool because actually they are the only ones who have access it. I just wished there's also a membership for pool usage alone. People like me, I believe, do not need to enroll in a gym. I do not know how to swim, but mind you, our swim at the infinity pool made me love the water very much and even thought of that idea regarding pool usage. I was actually surprised, no kidding. I was enjoying the pool all by myself!! It was getting dark, we ended the night with delighted hearts and an unforgettable experience. The opportunity that was given to me by Avenue Plaza Hotel is a once in a lifetime experience indeed. I am an averaged income earner and I do not have the luxury of time and money to be in that beautiful place. I seldom set foot atAPH not unless there are parties or wedding receptions that I get to be invited. I dunno when will I be able to swim there again. Oh, btw, Avenue Plaza Hotel got recently awarded by Trip Advisor. APH may not be a 5 star hotel but it's the best in the Bicol Region. Hotel guests can testify to that. See how Avenue loves every guests who visits them? I can attest to that! Go ahead guys, dream like I did, maybe you can also get a pool pas or other gift certificates from Avenue! Don't forget to like them on Facebook to win lots of surprises! Interact with Avenue, interact with us. Thanks for the LOVE Avenue! Thanks a lot Ms. A!